It’s suddenly got cold! After an incredibly mild October in the UK, November has really kickstarted late Autumn with the temperature plummeting. Just in time for Bonfire Night when tradition says it has to be freezing cold and a bit wet as you stand watching fireworks in the dark. I don’t know about you, but as soon as it gets cold my whole food repertoire changes – suddenly I crave spiced comfort food. This combination of sweet maple syrup with a warming hint of cinnamon seems ultimately cosy and comforting. 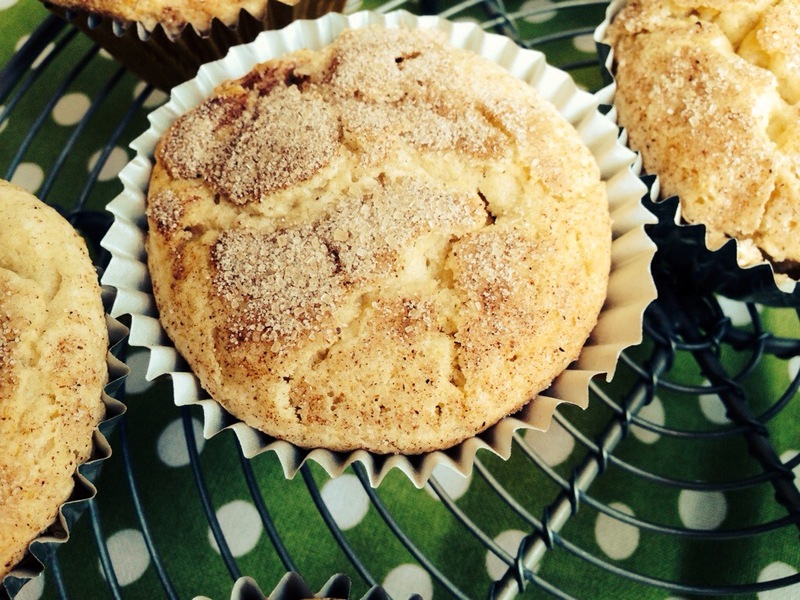 These muffins are best enjoyed by the fire and stroking a warm furry pet (guinea pigs in our case). We’ve been glamping. I’m a rather reluctant camper (much to the rest of the family’s dismay) – it can be lovely if the weather’s good and granted, you do ‘get away from it all’. But we live in the UK, so, quite often the weather isn’t perfect and to be honest I find it all rather hard work! Maybe it’s because we don’t have all the kit – all we have are airbeds, the tent, sleeping bags and a single ring gas burner. No luxury seats for us, no table, no heater. My main problem is the cooking – we can’t easily just eat in a local pub, well, we can manage a meal or two but there’s only so many ‘something and chips’ meals you can consume without a sense of doom. As you can imagine, we normally cook for ourselves on holiday but catering for 1omnivore, one vegetarian and 2 with various food allergies on a 1 ring gas burner isn’t easy! (With me, the vegetarian being the annoyingly difficult one). How do you cope with food when camping? I’d be interested to hear your tips and failsafe camping meals. Anyway, this time we made a compromise and went glamping. 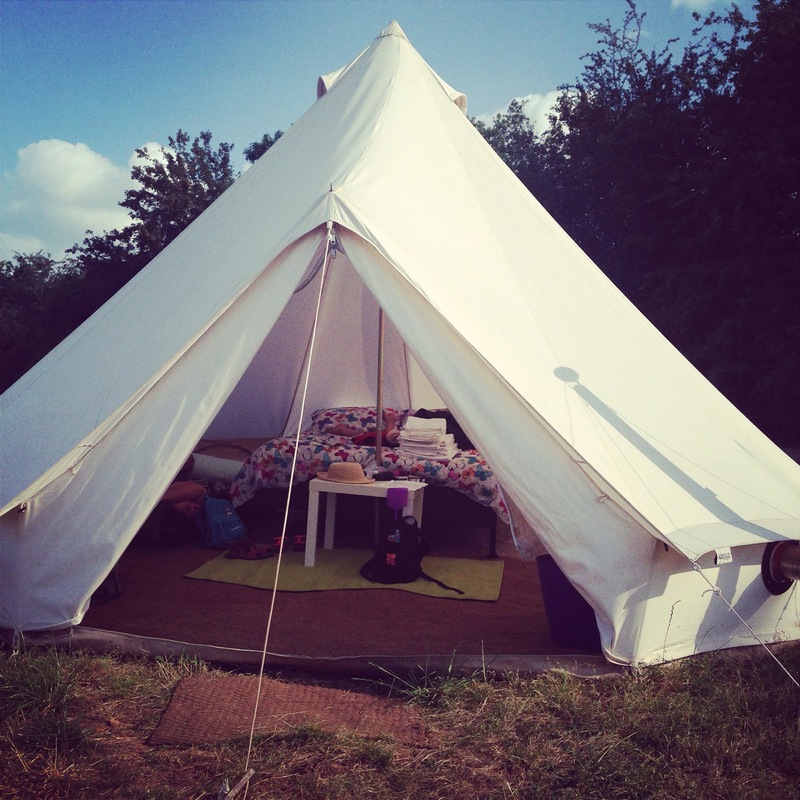 Here’s our rather attractive bell tent with rugs, duvets, wood burner stove inside, barbecue outside and a camp fire! It was a thoroughly lovely experience, the weather was perfect for it and it was so unlike normal life that it felt like a real break. BUT, 2 nights was definitely enough for me! The site was handily on a stunning fruit farm in Herefordshire so we did plenty of picking our own – perfect late strawberries and some wonderful fragrant opal plums (I bought back so many they’ll be a few more recipes to come!) 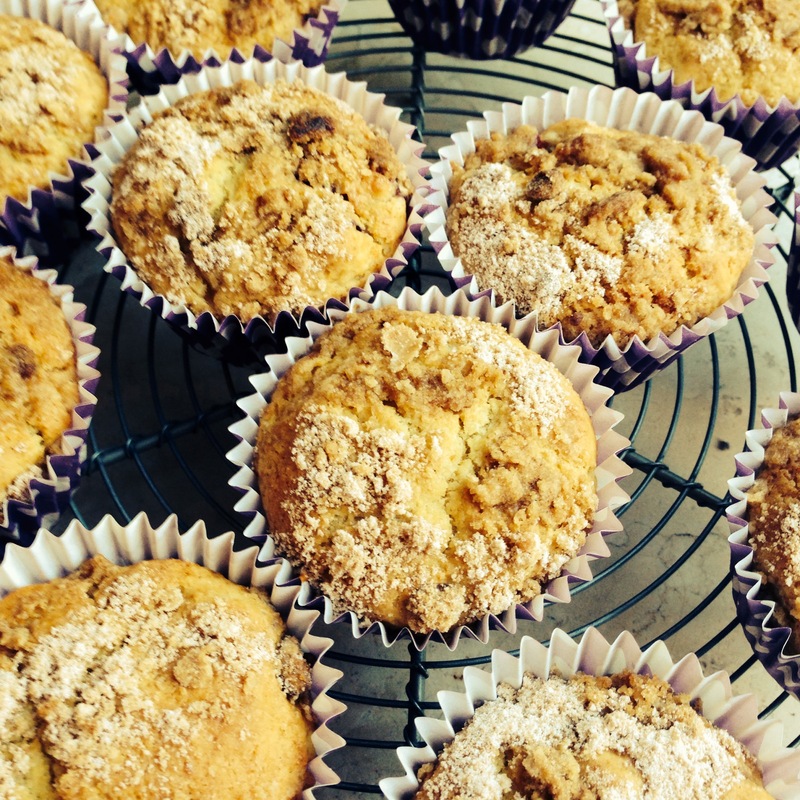 but my first recipe is these rather delightful fruity, crunchy topped and spiced plum streusel muffins. 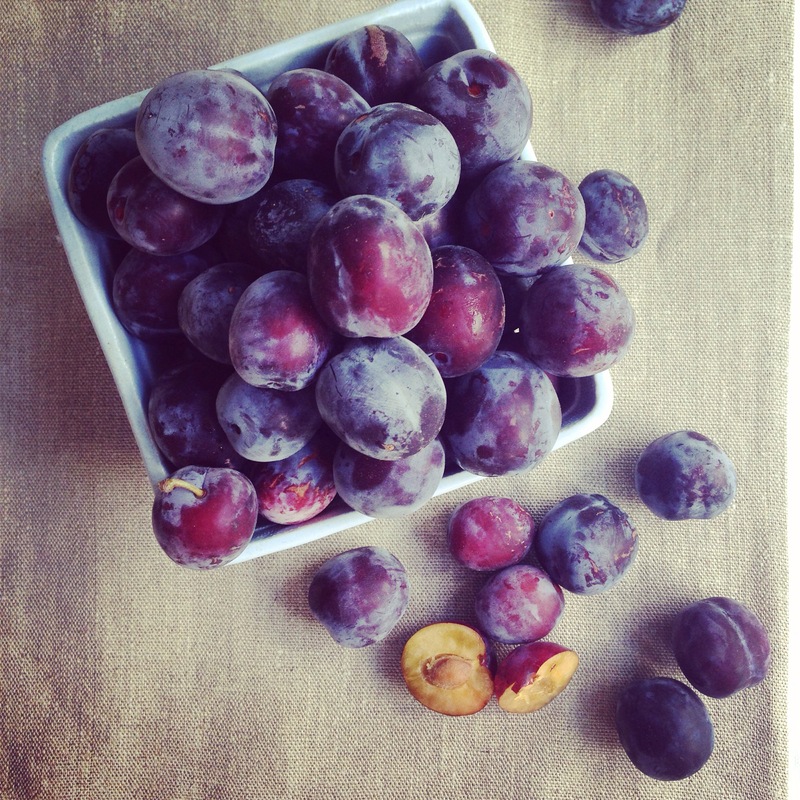 Bookmark this one for autumn when plums are everywhere. 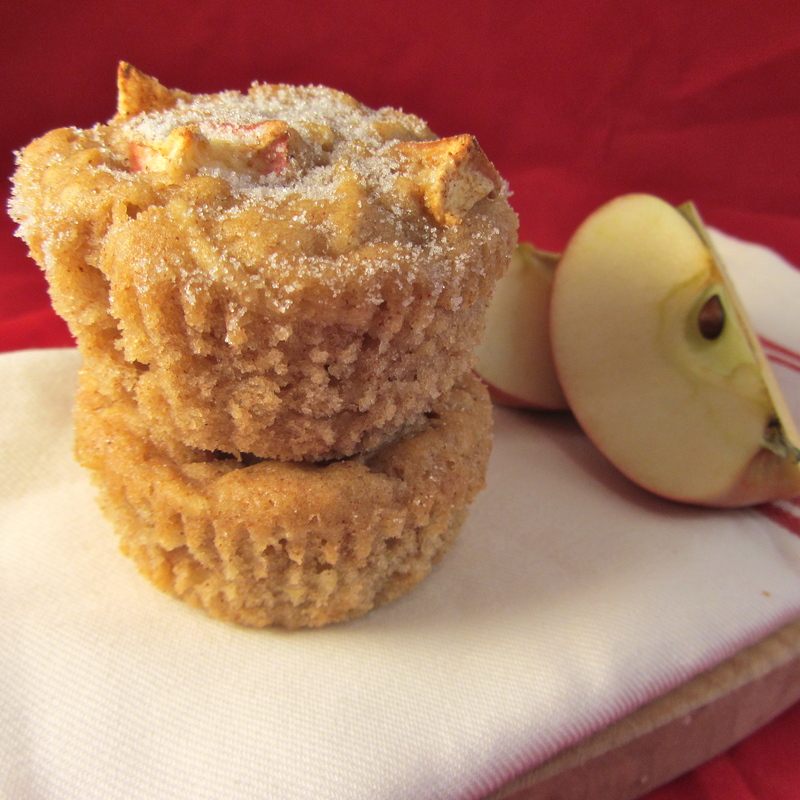 – Rub the cold spread into the flour, sugar and cinnamon until it resembles a crumble topping. Set aside. – Whisk together the yogurt, non- dairy milk, oil and vanilla. – Bake for 18-20 minutes until golden and a knife comes out clean. – Cool on a wire rack. Doughnuts (or donuts) – probably the ultimate non-healthy comfort food. Not many people can resist the allure of a fresh sugar and cinnamon sprinkled donut. 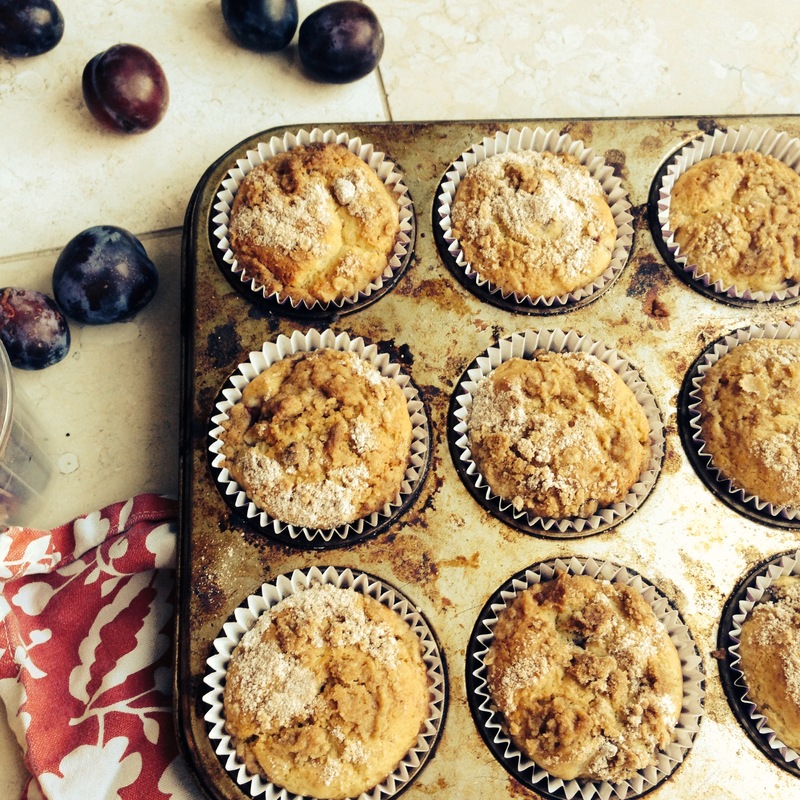 How about a healthier, simpler baked muffin version? Just as irresistible but not quite so naughty? Now, that is a good idea! 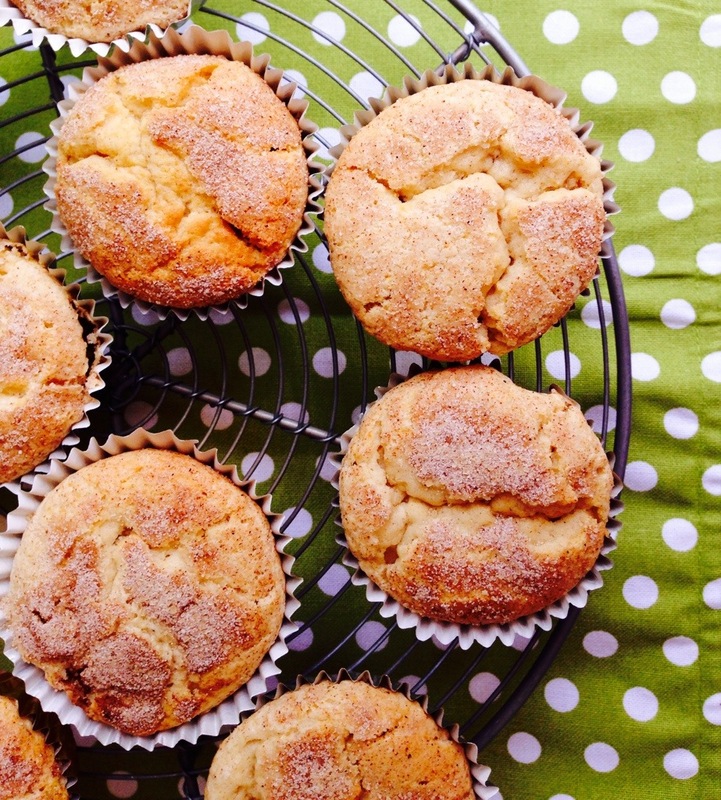 Donut muffins may not be a new concept to you, but they are to me! These easy to make little beauties are light and fluffy but all the sugary sweet spice of a good donut. I can think of many scenarios where these would be just right – breakfast, lunch, tea, snack or supper. I reckon these will become a bit of a regular staple in this household. – Mix together the yogurt, vanilla, lemon juice and oat milk. Set aside. 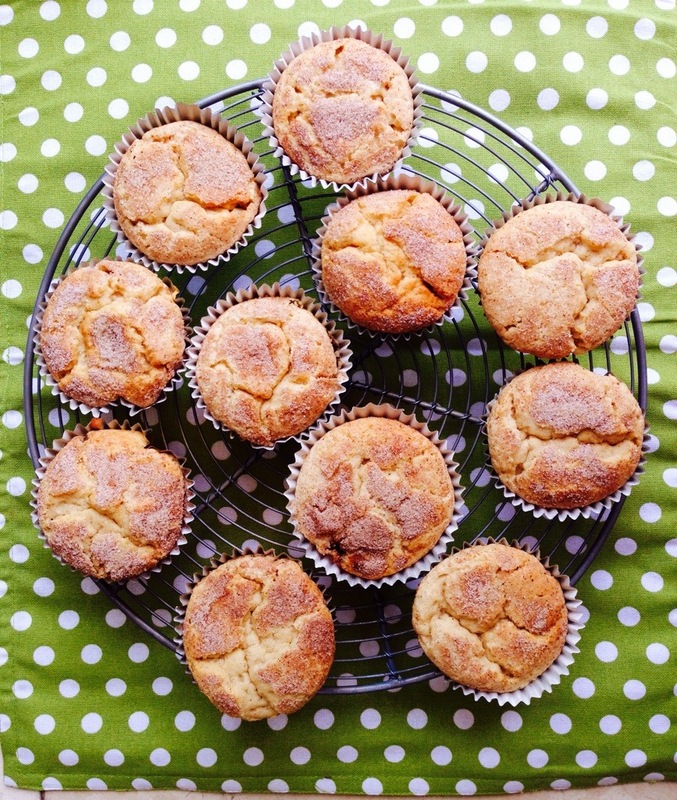 Muffins are such a great staple, slightly less fancy and celebratory than an iced cupcake, but perfect for an everyday treat. As they don’t have the extravagant toppings they do need an interesting flavourful sponge to shine through, and this recipe has 3 dimensions of flavour (sugar, cinnamon and cocoa) to delight the taste buds. 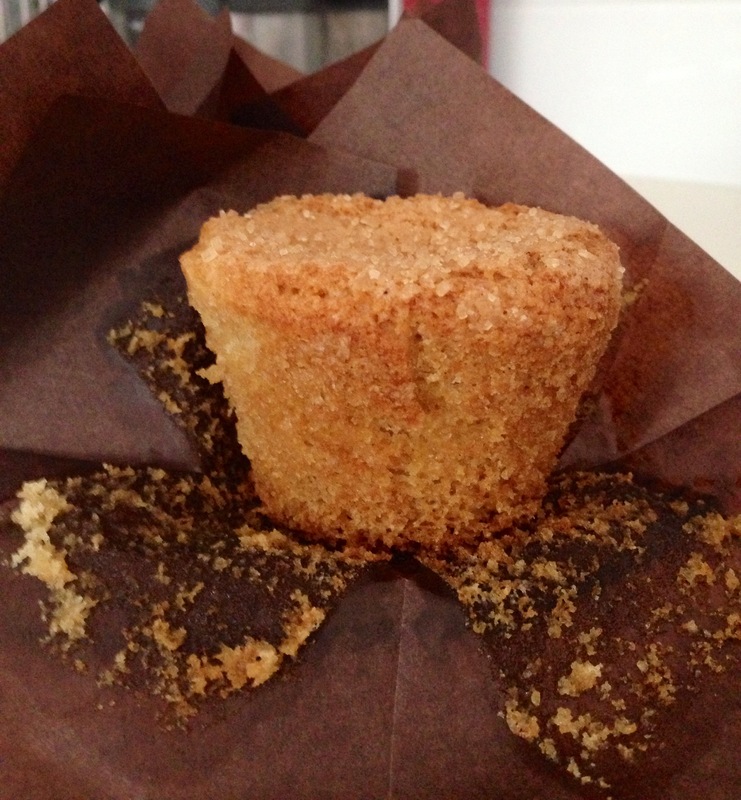 A variation on The Misfit Baker’s snickerdoodle loaf these little beauties are utterly delicious. 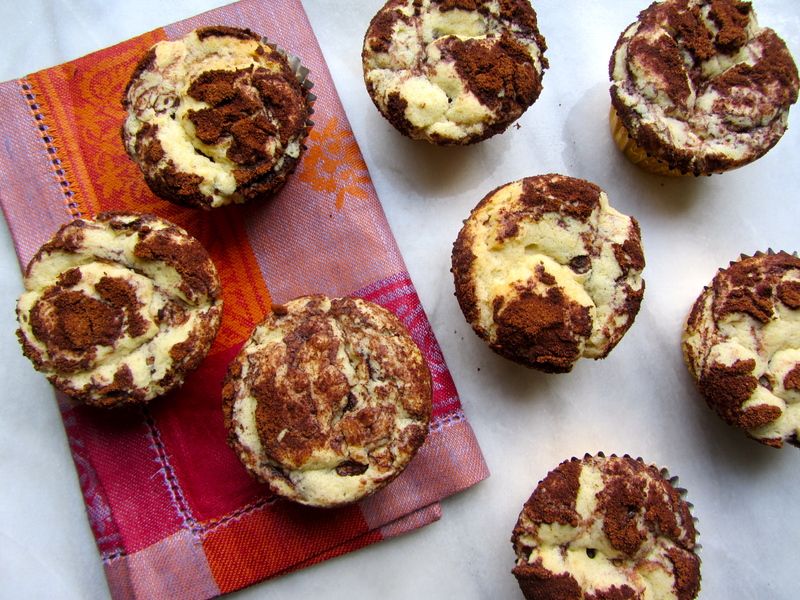 The sponge is light and fluffy and the sweet, spicy, cocoa swirl is just amazing. 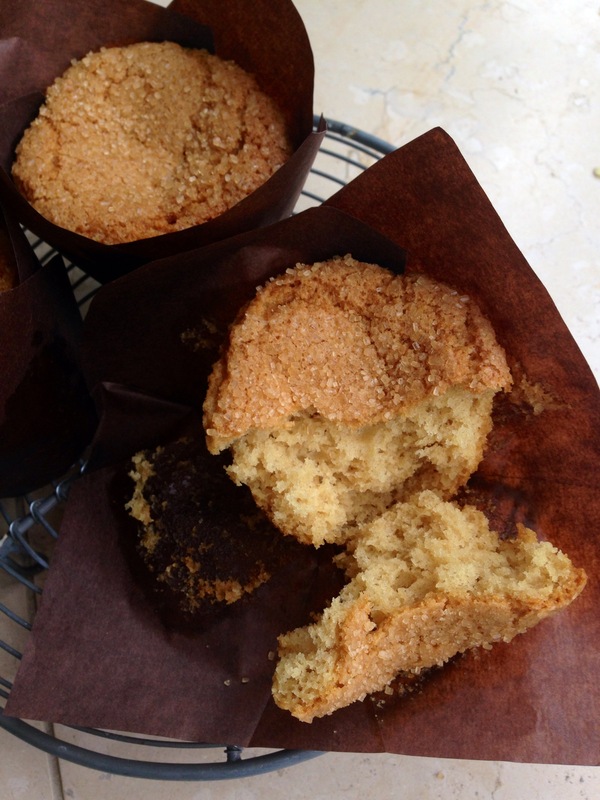 In fact, these muffins have seen the paper cases licked clean by all who ate them – Now that is high praise! 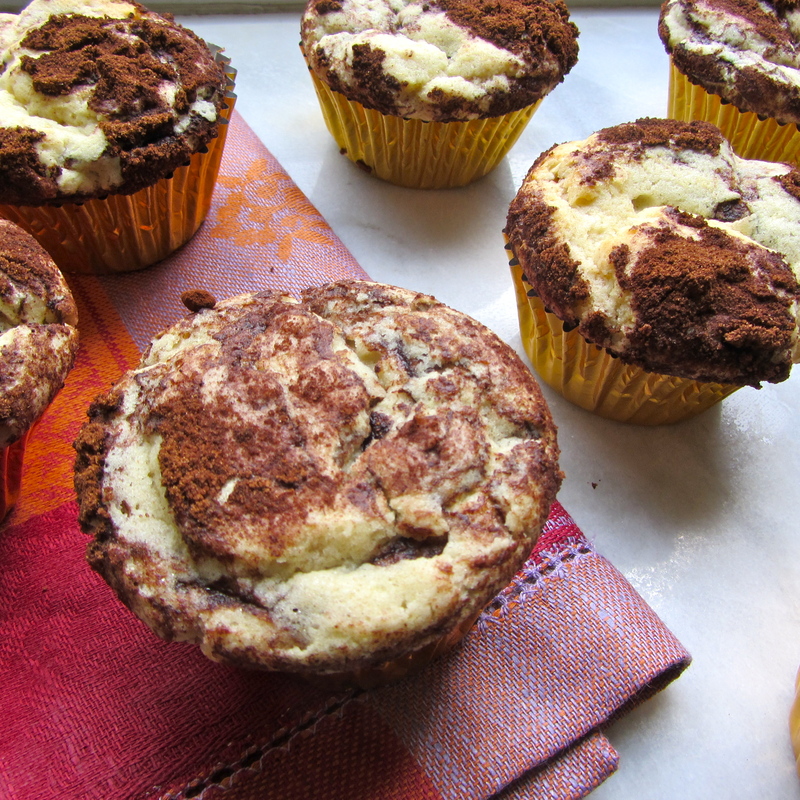 – 1/3 fill the liners with the batter, sprinkle over 1/2 the cocoa and sugar mix. – Add the rest of the batter on top, then again sprinkle over most of the rest of the cocoa and sugar mix. 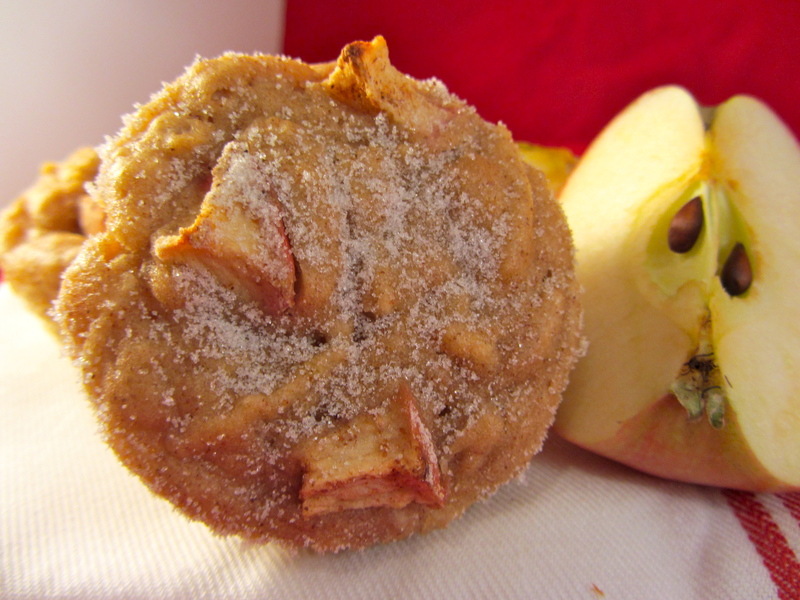 Apple and cinnamon is such a fantastic flavour match, and it’s perfect for these dreary, cold and wet winter days. My girls seem to have a real aversion to mushy fruit in baked dishes (you might have noticed a tendency to chocolate in my recipes, and that is completely why!). However I thought a good dose of cinnamon and the apple being grated and therefore less challenging would manage to overcome those issues. Funnily enough they were rather enjoying them until I mistakenly mentioned the apple (why did I do that! ), then they were rather less than keen. I’d say the result is mildly ‘appley’ with a good cinnamon whack – add more if you really like cinnamon – and I really enjoyed the fruity change. 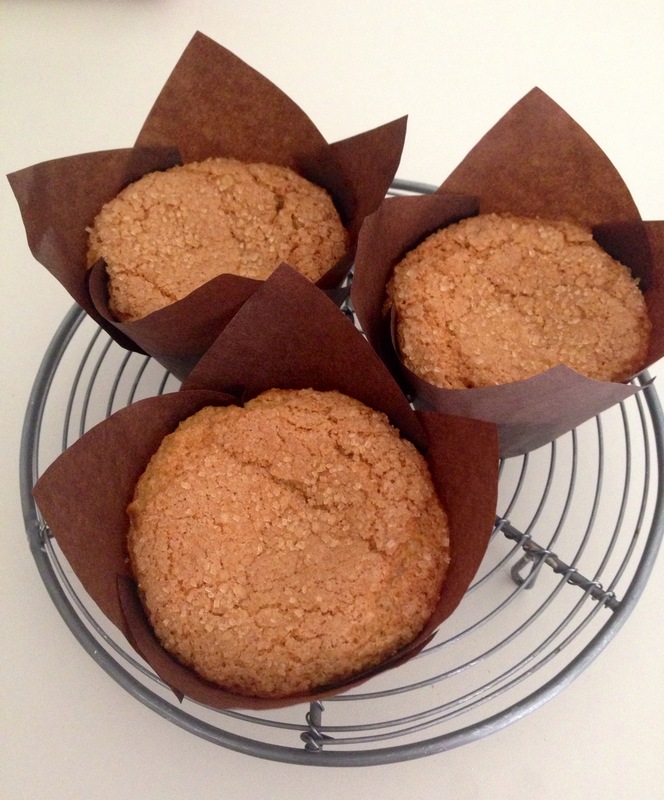 They’re particularly enjoyable still warm from the oven and would make a great breakfast or tea time treat. 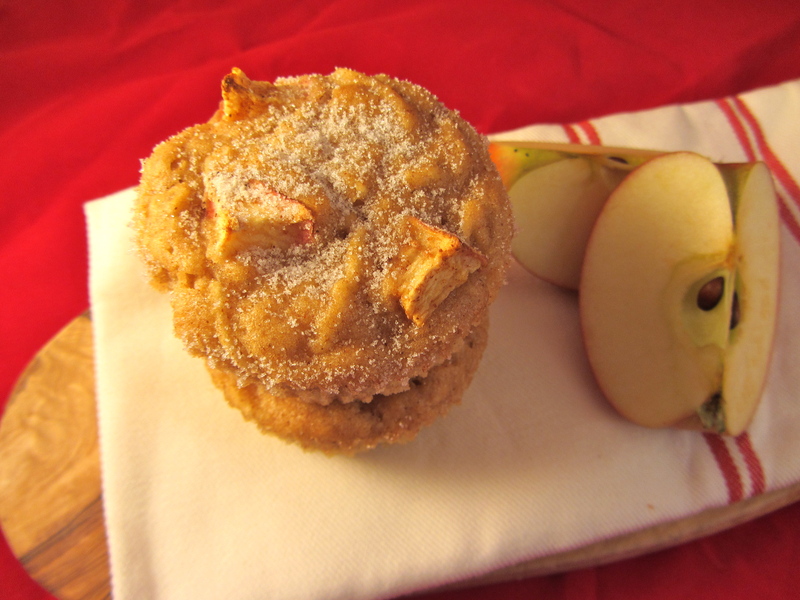 – Mix together the grated apple, 1/2 tsp cinnamon and lemon juice and set aside. 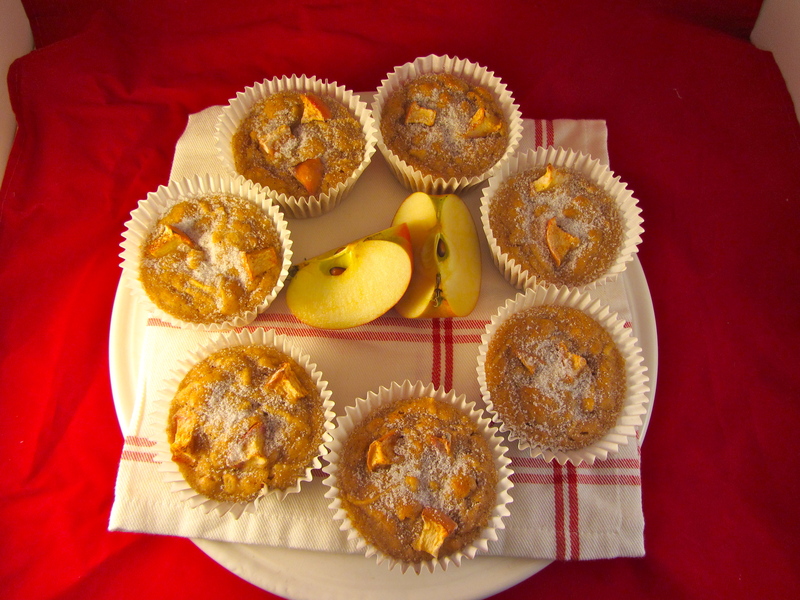 – Whisk together the apple puree, caster sugar, oat milk and sunflower oil. – Stir in the grated apple mix. 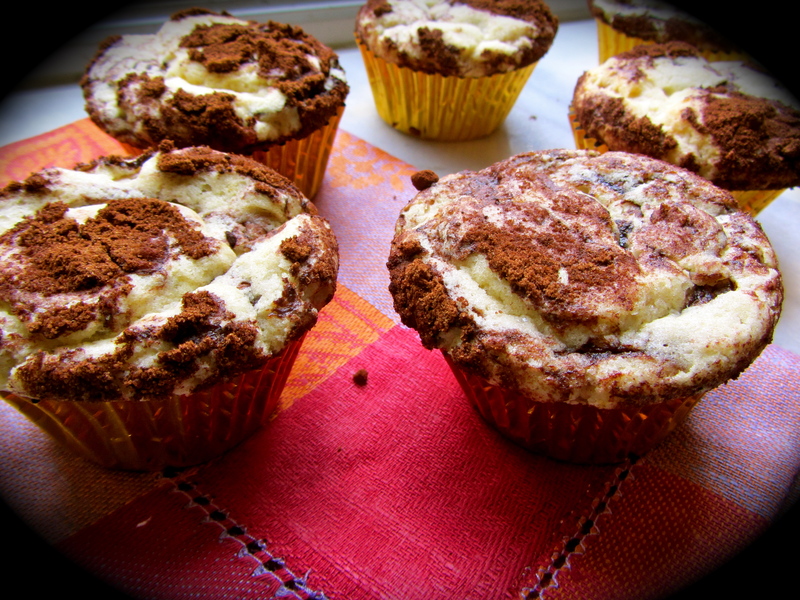 – Sift in the flour and cinnamon and gently fold together until just combined. 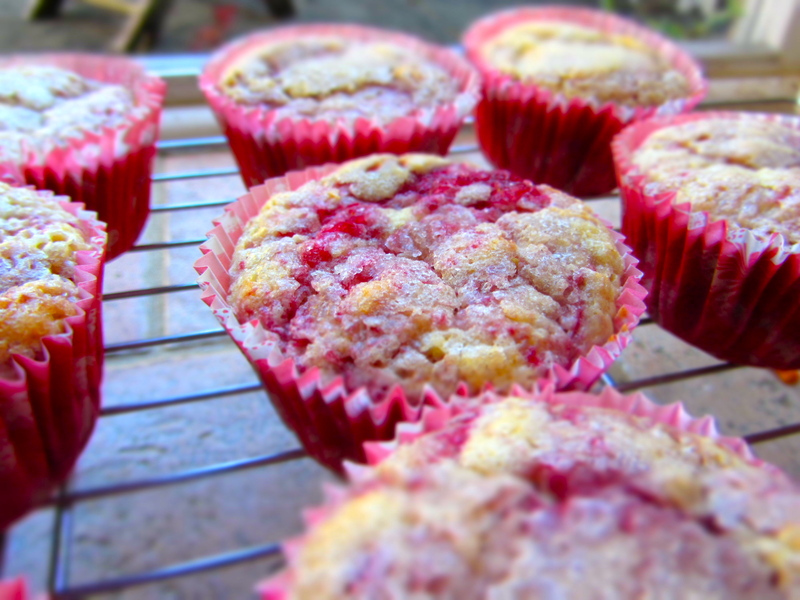 Its very important not to over-mix a muffin mixture. – Bake for 18-20 minutes until cooked through and a knife comes out clean. Raspberry season has now hit and we visited an amazing ‘pick your own’ farm yesterday where the bushes were dripping with ripe red fruit. Quite a contrast to when we went to pick strawberries in early June. Never seen so many on each bush as we did yesterday. 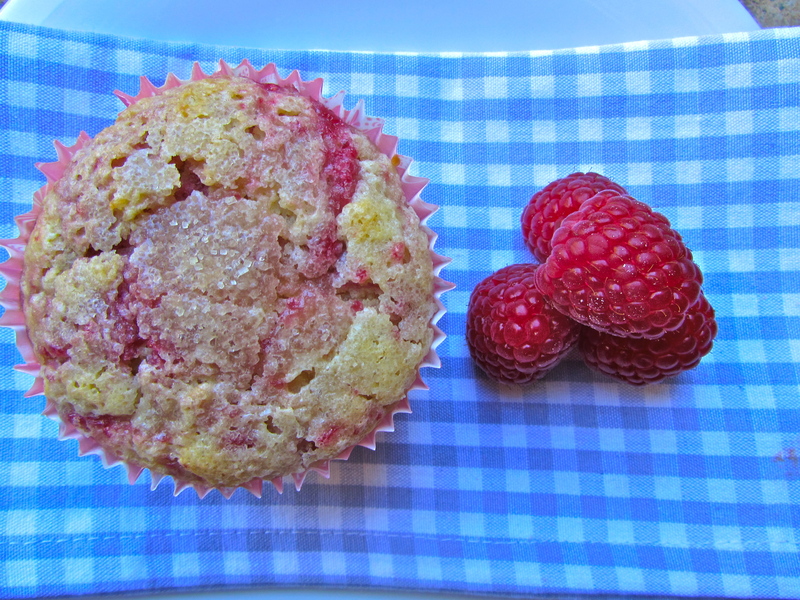 There are only so many raspberries we can eat in one sitting, so here’s a great muffin recipe to use up some of the squishy ones from the bottom of the container. 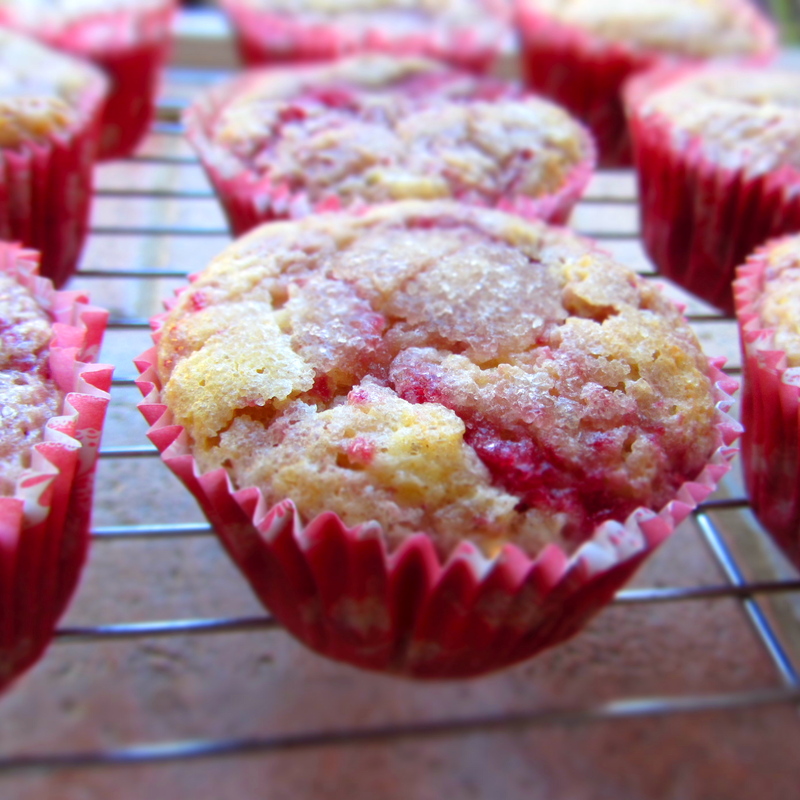 The syrupy jam is swirled into the muffin mix before baking, producing a pretty marbled effect that is packed full of raspberry flavour. 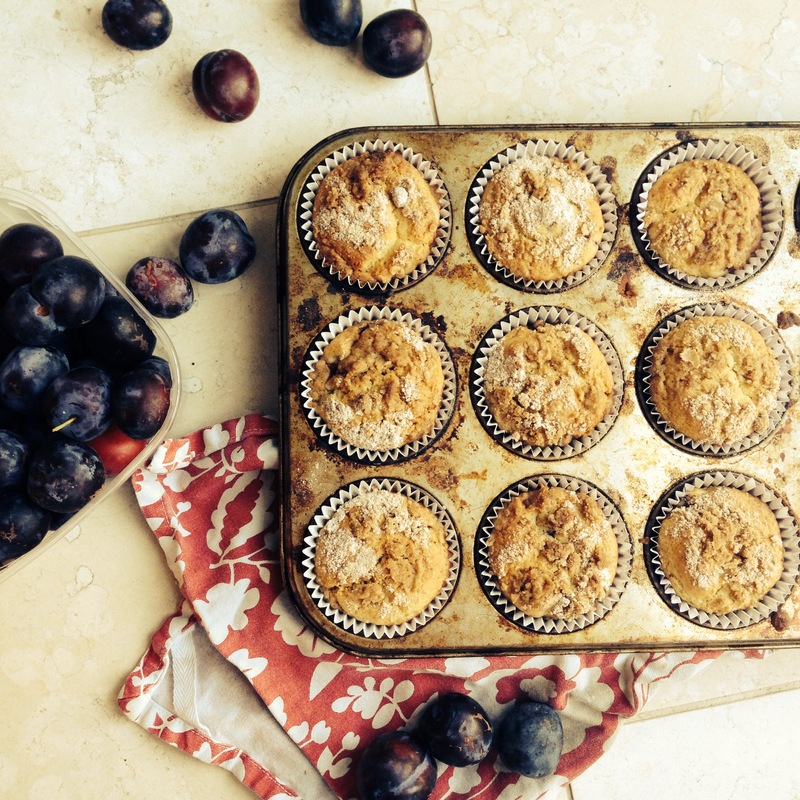 Summer in muffin form! – Simmer together the raspberries, sugar and water until jammy. Sieve and leave to cool. – In a bowl mix together the oat milk, soya yogurt, vanilla and melted dairy-free spread. Set aside. – Sift together the flour, baking powder and salt. Stir in the sugar. – Make a well in the centre and pour in the wet ingredients. Mix until combined (make sure you don’t over mix). 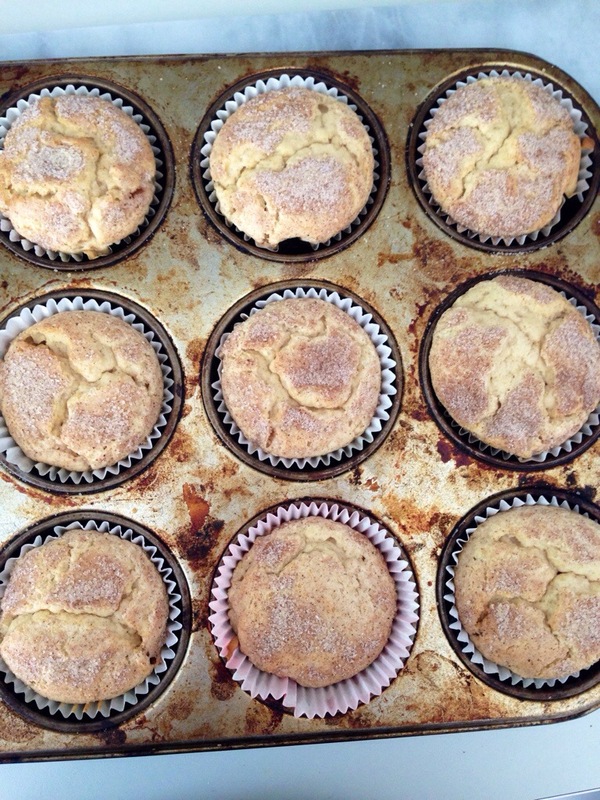 – 2/3rds fill each muffin liner. Sprinkle a little sugar on the top of each. – Bake for 20-25 minutes, until golden on top and a knife comes out clean. Welcome. I'm a Cordon Bleu trained chef and mother with a passion for cooking vegetarian food. All recipes featured here are dairy, egg, and nut-free, thus 'accidentally' vegan, as my children are allergic to those. My aim is to recreate any dish, even what seems impossible, but free of the ingredients we can't have, and log my exploits here. Please browse what is now several hundred recipes. All the recipes posted (unless stated) are my own creations. Lucy's Friendly Foods on Instagram: see it here first!